5 tips for creating a stress free family or friend led outdoor ceremony. As most people may already know, in the eyes of the UK law you cannot [ at time of writing] legally get married outdoors. 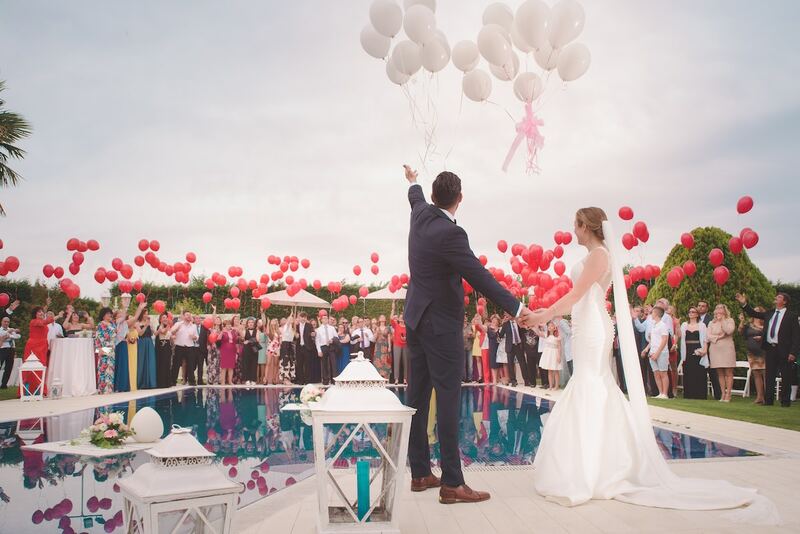 In order to legally get married this must take place in a licensed venue with a fixed roof or a registry office. This sometimes may include permanent pagodas or gazebos, entrance ways etc but as it stands you cannot stand in the middle of a field or on a beach to legally say I do. However what this does open up is the ability to create the most amazing and unique personal ceremony to you and your beloved seperate to the legal declarations. You have the ability to create your wedding your way. 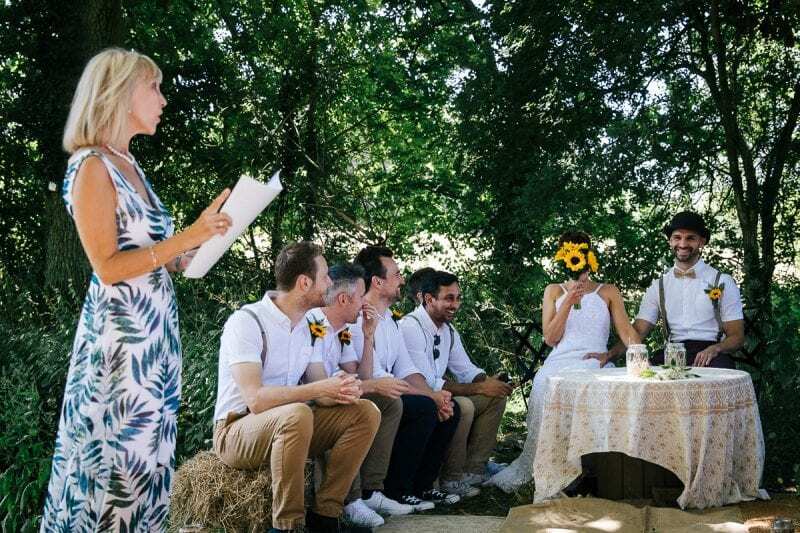 So many couples in the UK are now opting to do the “paperwork” bit a day or so before or after to ensure they can have the outdoor ceremony that they want. 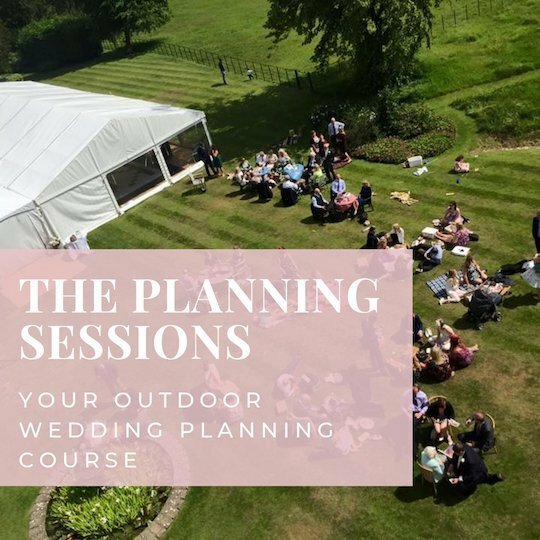 We have talked countless times within The Outside Bride FB group about engaging the services of a professional, independent celebrant to conduct your service however the world really is your oyster when it comes to designing your outdoor ceremony. More and more frequently we are seeing that people are also opting to ask family members or long term friends to stand in front of them to perform their union! I can’t think of a more perfect and personal way to say your vows than with someone you know and love dearly standing there with you. 1. Think carefully about what you want your ceremony to look like and work together on the ceremony script. As the ceremony won’t be necessarily guided by any religious or legal requirements it will be up to you to create the script for your ceremony and to decide if there will be any blessings, lessons and vows that will be appropriate for you and your partner. 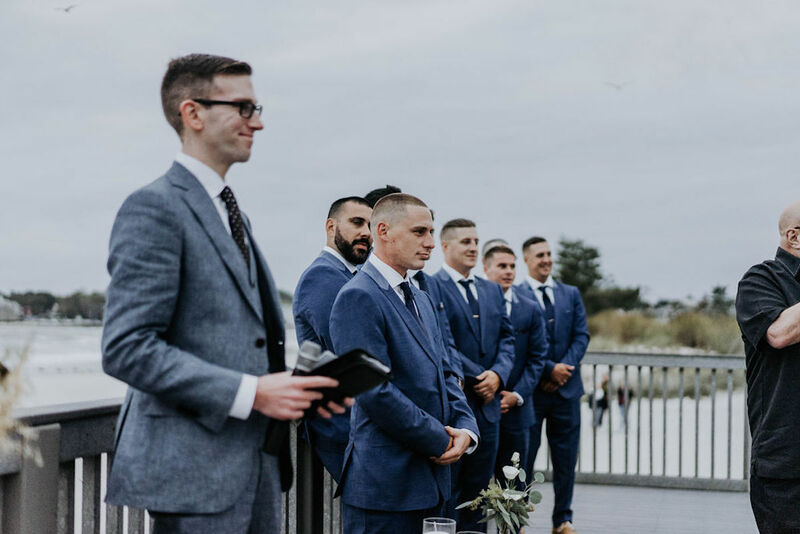 Just remember when creating your ceremony script ensure that you leave room for your officiant to add their own touch and personality to it. 2. Be sure to choose the right friend or family member. Remember that the vows you are exchanging are important to you and therefore shouldn’t be an opportunity for your funniest friend to practice their stand up routine. The person you choose should feel confident enough to speak in front of a crowd, articulate and ultimately someone you trust implicitly to deliver. 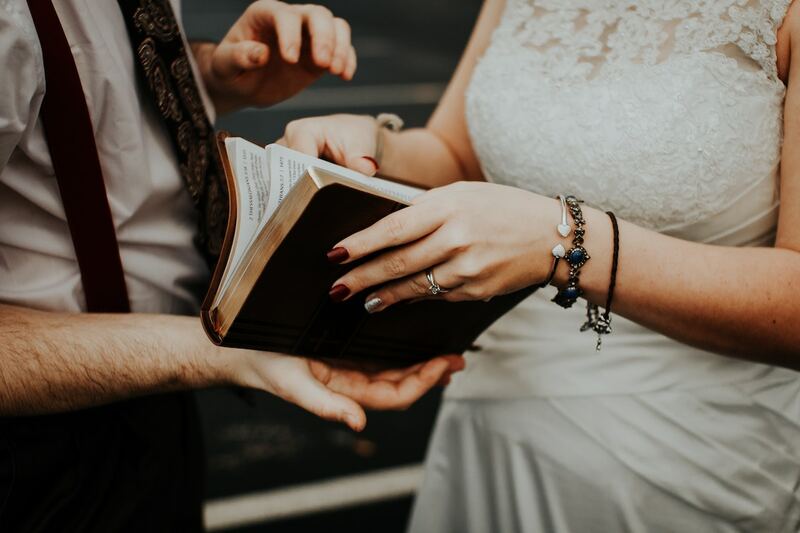 Well before your wedding rehearsal be sure to let your officiant get to know their script for the ceremony so that they can feel comfortable on the day. 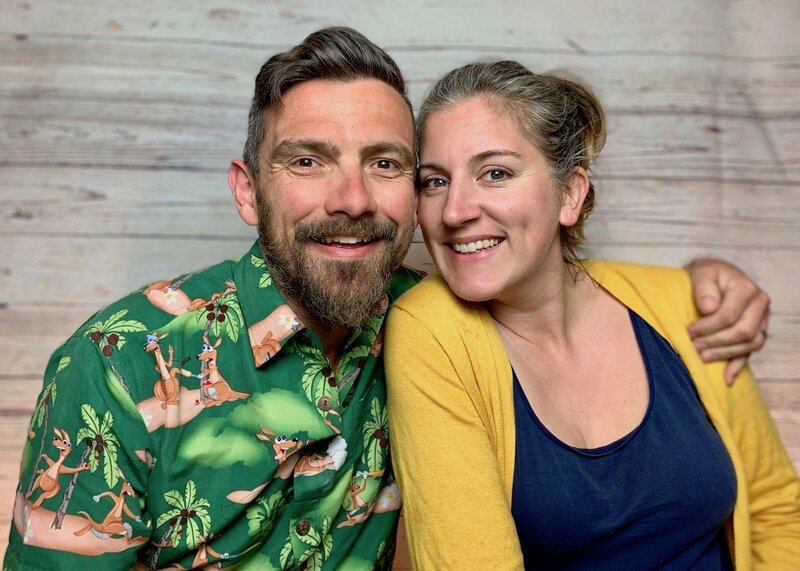 They will ultimately be leading you and your guests throughout the service and your wedding party will look to them for guidance if anything arises. When it comes to your rehearsal day be sure to work out with them where they are needed to stand, whether they will need a table for any equipment or props etc and walk through the use of any AV equipment, microphones etc. The last thing you want is a technical mishap on the day! 4.Tell them what you want them to wear. 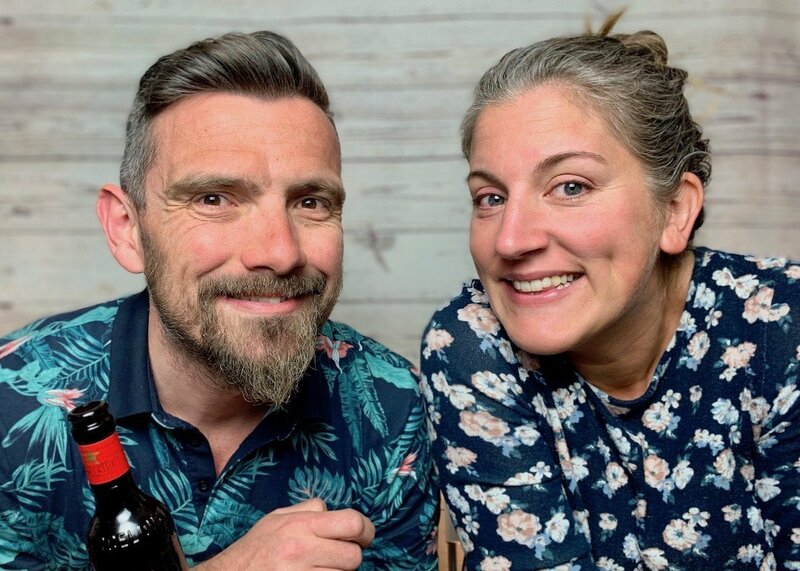 It may seem like a silly one but it really will help put your officiants mind at ease if you give them some guidance on what you expect of them. Are you happy for them to wear standard wedding attire or would you prefer for them to stand out from the crowd? Will they be a part of the wedding party itself? If so would you like them to tie in to their colour scheme etc. It really doesn’t matter either way but just be sure to let them know! 5. Bring copies of the ceremony and give them to more than one person! Don’t just rely on the person conducting the ceremony to bring their notes on the day. Be sure to print out multiple copies of the ceremony script, the vows and all readings and ensure that you give the backups to a bridesmaid, an usher or parent to keep hold of just in case. Its better to be prepared than not! Ultimately this is an occasion whereby you have a real opportunity to create something special and meaningful to you. Be sure to enjoy it. 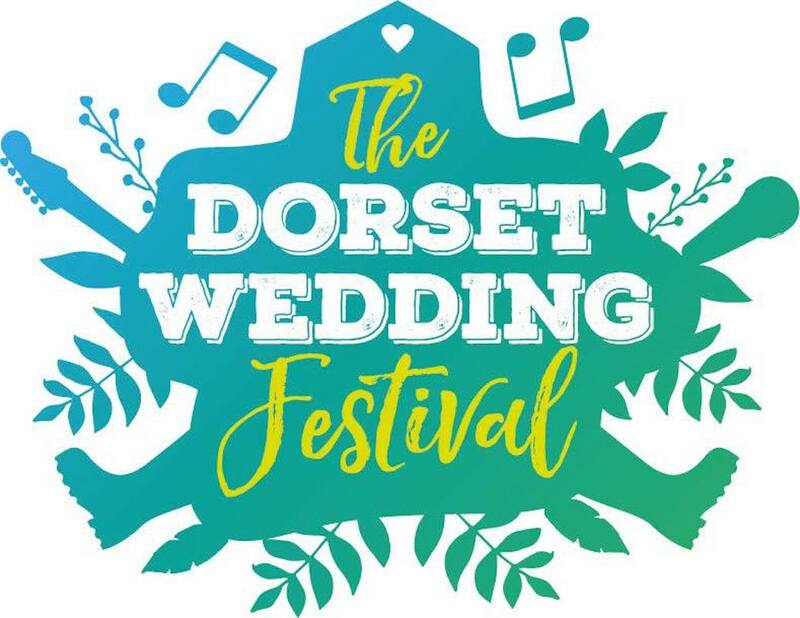 And don’t forget, if you decide that actually you think that your service may be better suited to a professional celebrant you can find some awesome recommendations in The Directory. P.S. The gorgeous wedding of Austin and Rebeca featured a ceremony led by Rebeca’s brother. You can see the feature in full by clicking here.